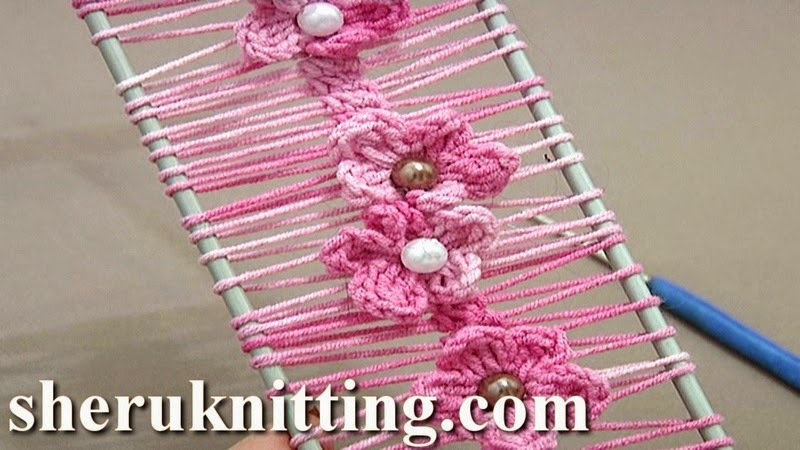 In this hairpin crochet tutorial you will see how to crochet flower in hairpin loom. In the middle of this beautiful strip there is a row with 5-petal flowers on it. You will learn how to crochet flowers on hairpin loom, how to fix them and after how to continue crochet the strip. Thanks for watching!